DomainGang : Eight crazy years! 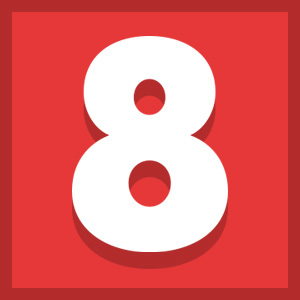 :DomainGang DomainGang : Eight crazy years! DomainGang is 8 years old. Time sure flies, and it’s now officially been eight crazy years here at DomainGang. Along with social media reporting in ways that affect the domain industry, we’ve shared more than 7,745 domain-related articles during this period of time. A big thank you goes out there to our enthusiastic supporters, regular readers, magnificent sponsors and the occasional hater or two. Without the latter kind, we’d be less driven to keep on moving forward. The domain industry is constantly evolving, constantly growing, and we’re an active part of it. Thank you all for the exciting journey – looking forward to sharing more great years ahead, with all of you.